Robert Ng Chee Siong – born Singapore 1952 – and his brother Philip – born 16 September 1958, in Singapore – are Singapore businessmen, best recognized to the world as chairmen of the Far East Organization, located in Singapore, but Robert is also the chairman of the Sino Group with headquarters in Hong Kong. Have you ever wondered how rich Robert and Philip Ng are, as of mid- 2016? According to authoritative sources it has been estimated that brothers` net worth is now over $10 billion, an amount acquired through their successful careers as businessmen, but which can vary daily according to movements on the stock exchange. 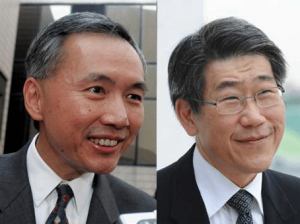 Robert and Philip are sons of the deceased Singapore real estate tycoon Ng Teng Fong, who founded the Far East Organization, and Sino Group companies, which became one of the largest real estate and property development companies in Singapore. Robert became the chairman of the Sino Group in 1981, and since then has been in that position, while Philip became the CEO of the Far East Organization. The two have worked together, as the companies work in the same area, property and real estate development. However, during the years, companies expended to other geographical areas, acquiring numerous other companies, which has only increased their net worth. So far, the Far East Organization has developed 750 properties in Singapore, in such locations as Orchard Road, and has received ten FIABCI Prix d’Excellence Awards. To speak of the success of the Sino Group, it has three publicly listed companies, including Tsim Sha Tsui Properties Limited, Sino Land Company Limited and Sino Hotels (Holdings) Limited. Little is known about Philip`s endeavors, but Robert has been quite active on the business scene, becoming the chairman of the Yeo Hiap Seng, a company which makes food and beverages, acquiring 24.9% of the company`s shares. Furthermore, he also started a company Sino Hotels, which later acquired several other companies, including Conrad Hotel, which only increased further Robert`s net worth. When it comes to their personal lives, also there is no information about Philip, however, Robert is married to Yeoh Saw Khen, a daughter of Yeoh Ghim Seng. Robert has four children, two of which are already in the family business, and have started their own. His son Daryl is executive director of the Sino group, and his daughter Nikki serves as general manager of the Sino Group – they are all domiciled in Hong Kong. The brothers are also known for their philanthropic activities, including a donation of $15 million to the National Gallery Singapore, which has later named a roof garden exhibition space Ng Teng Fong, in respect to their father.